Welders join and separate metals used in oil and gas and construction sites such as beams, girders, vessels and piping. They also make metal and weld parts, tools, machines and equipment. Welders use different processes depending on the type of metal, its size and shape, and where and how the finished product will be used. 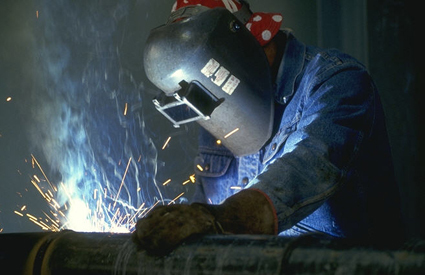 Each province has its own regulations for Welders. To work in Alberta, a Welder must be either a registered apprentice, an Alberta-certified journeyperson or someone who holds a recognized related trade certificate. The term for apprenticeship is three years and includes a mix of on the job and in-school training. Learn more about becoming an apprentice Welder in Alberta by visiting Alberta Apprenticeship and Industry Training. Find a Welder job by checking out our Job Postings.